For the past 200 years, the invention of the camera has provided the amazing opportunity for everyone from amateurs to experts to forever capture a moment in time. While subject matter runs the gamut including modern day #selfies to panoramic landscapes and more, one of the most popular things to photograph today is food. Lucky for us, photographer, chef, scientist, and author Nathan Myhrvold has taken the joy of photographing food to a new level via his use of technology, science, and the literal creation of new cameras and photographic techniques. 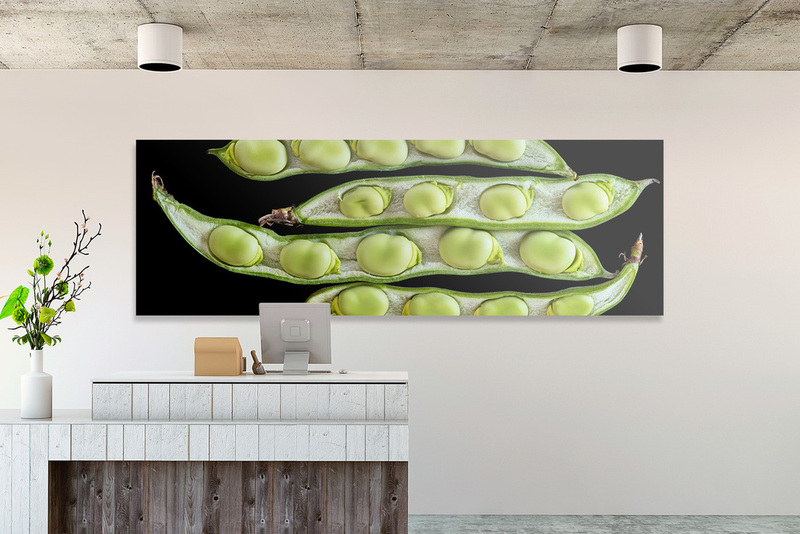 With his first two galleries now open in Las Vegas and New Orleans, Myhrvold is excited to debut 20 spectacular images that are available exclusively at his Modernist Cuisine Gallery locations. Released in conjunction with National Photography Month, these NEW compelling food images are personally curated from Nathan’s highly customized process and otherworldly technology. In honor of the recently announced upcoming Modernist Pizza cookbook, Nathan was inspired by Italian painter Arcimboldo’s portraits. He used food to compose his subjects. 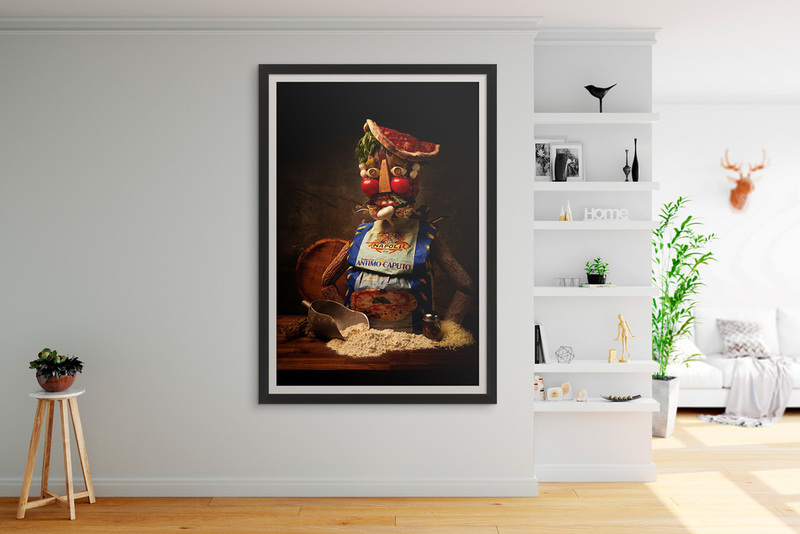 For this, Nathan only used pizza ingredients to create and photograph this Neapolitan man. Carrots grow in the soil. Plant roots can turn and twist to avoid other obstacles. In this case, the obstacle was each other. 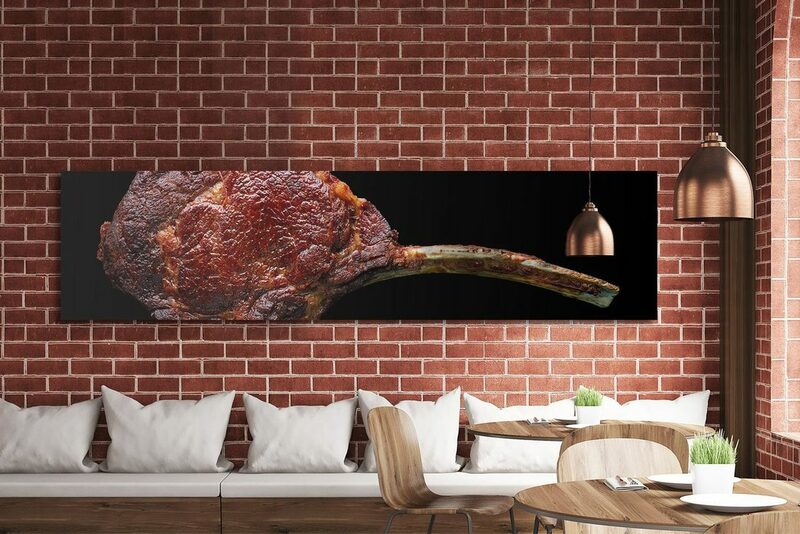 The Tomahawk Steak is an on-the bone Rib Steak, cut from the fore-rib with the entire rib bone left. The long bone is French-trimmed, leaving an amazing presentation. The Latin name for the fava bean. Widely consumed but in many different ways. In the Middle East the beans are grown until they’re fully mature then dried, called broad bean or fool. The French eat them when they’re younger and still green. Jack and the Beanstalk and the movie Silence of the Lambs both reference this bean. 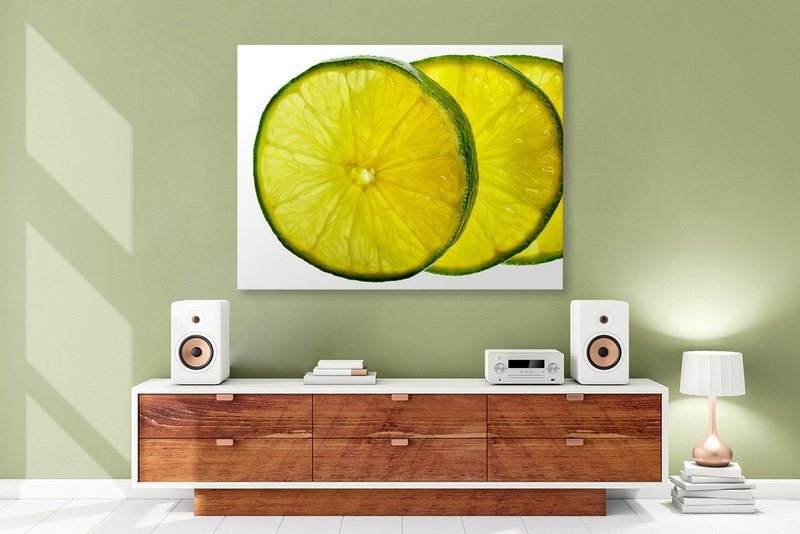 When sliced thin, limes are translucent. This shot was both back and front lit. Nathan Myhrvold is founder of The Cooking Lab and lead author and photographer of Modernist Cuisine: The Art and Science of Cooking, Modernist Cuisine at Home, The Photography of Modernist Cuisine, Modernist Bread, and the forthcoming Modernist Pizza. He routinely pushes the boundaries of culinary science as a chef, photographer, scientist, and writer. He has had a passion for food and photography since he was a boy. At a young age he consumed cooking books and invested in new cameras and lenses—even while doing postdoctoral cosmology work with Stephen Hawking. While working as the chief technology officer of Microsoft, he took a leave of absence to earn his culinary diploma from École de Cuisine La Varenne in France. Myhrvold retired from Microsoft in 1999 to found Intellectual Ventures and pursue several interests, including photography, cooking, and food science. Inspired by the void in literature about culinary science and the cutting-edge techniques used in the world’s best restaurants, Myhrvold assembled the Modernist Cuisine team to share the art and science of cooking with others, hoping to pass on his own curiosity and passion for the movement. 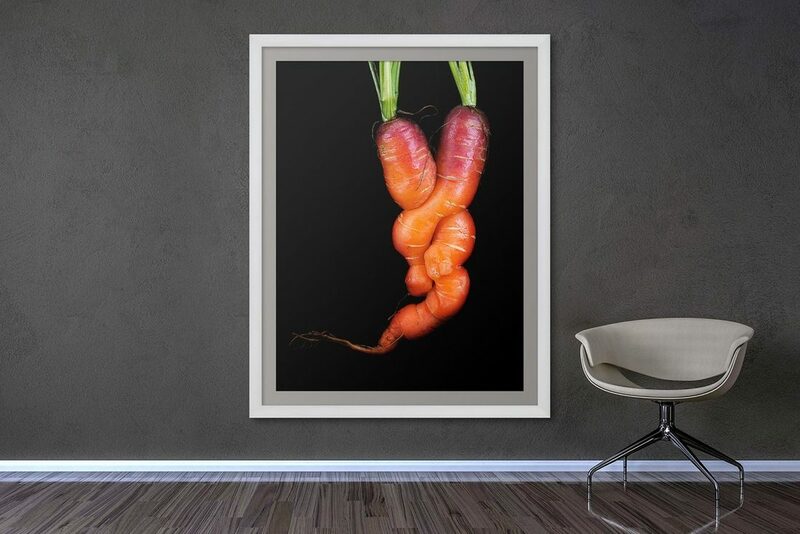 Modernist Cuisine Gallery is the first gallery in the world to sell food photography by a single artist. Nathan Myhrvold’s books and photography, available in several sizes, are available for purchase. The gallery opened its first location in May 2017 at The Forum Shops at Caesars Palace in Las Vegas, Nevada, and its second location in November 2017 at 305 Royal Street in the French Quarters of New Orleans, Louisiana. 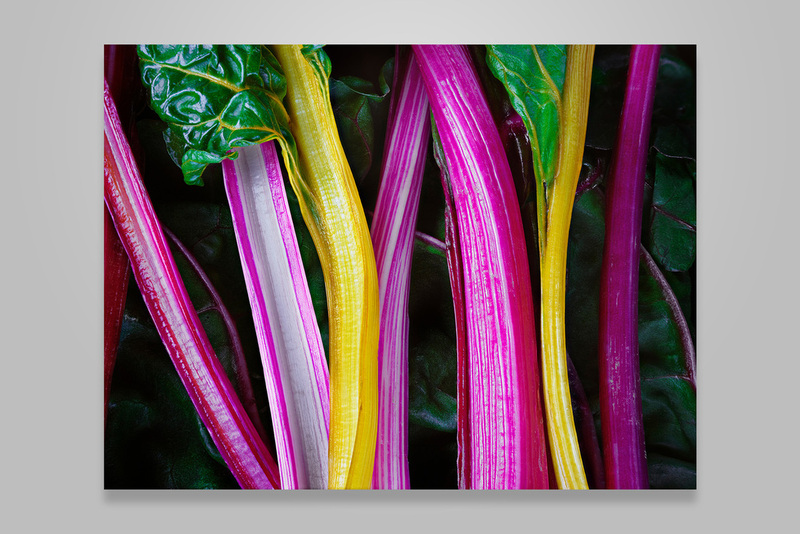 The artwork includes photography featured in Nathan Myhrvold’s Modernist Cuisine books plus photography taken exclusively for the gallery. Additional details can be found on www.modernistcuisinegallery.com and on their Instagram account @modcuisinegallery.